RUSH: My friends, I made a rediscovery last night. I discovered something that I already previously discovered. I relearned something last night. I learned something last night that I knew long ago and then I stopped doing it, but I inadvertently started doing it a couple weeks ago, and man, oh, man, life is so much better. RUSH: Yes, siree. Here we are headed into the Memorial Day weekend, Rush Limbaugh behind the EIB Network for three straight hours of broadcast excellence. Telephone number, if you want to be on the program, 800-282-2882. The email address, ElRushbo@eibnet.us. Okay, so it was last night or maybe the night before, I forget which. And I was chatting with somebody who was remarking on the radio program. They said, “You know, all of a sudden you’ve been laughing at things. It sounds like you’re actually enjoying this stuff going on. I found it kind of strange.” And I had to stop and think, “Now why would this person think that?” Then I thought, yeah, yeah. Like yesterday, we laughed at a whole lot of stuff, day before that. You know what this is, folks, honestly — and I did not do this on purpose; it just happened — I have stopped watching cable news. It was not an active decision. It was not, “I am going to go on a diet starting Monday right after dinner,” nothing like that. I just stopped watching it. When I want to watch TV, there’s other things I want to watch. I stockpile programs I like and binge-watch, like Bloodline season 3 on Netflix today, and then House of Cards is next week on Netflix. But I’m constantly scouring the BBK, Channel 1 in the U.K. for TV shows. I just don’t need cable news. There’s nothing that happens on cable news that I don’t already know. I’m talking about just the acquisition of information, learning things. What is on cable TV is not that. Cable news isn’t news. What is happening on cable news right now is a political assassination of not just Donald Trump, but of ideas and cultural mores that I believe in. As I say, it wasn’t an active decision. I think it was just a subconscious thing where I said, “I don’t need to subject myself to this.” Once I assured myself that there was nothing really to learn — I mean, the only thing to learn is if you want to watch and find out what somebody else thinks about something. But that, of course, I’ve never done that. That’s why I don’t listen to other people on the radio, never have, ’cause I don’t want to inadvertently, even unaware, end up repeating something somebody else has already said. So I have just decided that I don’t need to know what somebody else, particularly the same people over and over, panel after panel, same formula, the same no resolution to anything, there is no authority. At the end of all this there is no conclusion that one side was right and one side was wrong. It’s just, “Well, we’ve run out of time for now. We’ll have to continue this on a later show.” And they do, and it’s a never-ending cycle. And it is all shrouded in pessimism. It is all shrouded in defeat or fatalism. Plus you have other aspects like people just seeking fame or saying things to get noticed or what have you. But look, the bottom line is that not watching this — I see it for three hours on the air here. I’ve got the monitors on, but I don’t listen to it. The volume is obviously down and off, it’s muted, closed-captioning up there. But I’m telling you, it’s had a remarkable and demonstrable impact on my overall mood. And I think that it is inescapable. You know, my story about Roger Ailes, he sent out memos to the staff periodically when he thought there was too much pessimism or negativism. He said, “Negative people make healthy people sick.” And it’s true. Now, some people love to wallow in misery and negativism. You know, some people are happy miserable. That isn’t me. And I’m just telling you, even when looking at news stories now, I see them when I’m sourcing them in my own way rather than their presentation on cable news with contrived, phony, fake debates and all that. I have a different take on much of this stuff. But the upshot is, I don’t end the night angry; I don’t end the night making notes, “They gotta fix this tomorrow. I can’t believe what I heard that clown say,” whoever it might be. So you should try it. Now, I’ve suggested it before, and I’ve done it before. I have gone periods of time without watching the news, and on occasion it’s not been good. On occasion I did miss things. But I don’t think that’s gonna be the case ’cause because I don’t think anywhere you go to get news is news anymore. It is commentary, but mostly it is the advancement of agenda. We’re watching the political assassination of Donald Trump, and the assassins are on television every day, and they’re in the New York Times and Washington Post, and those people are guests on TV. Try it, folks, try it. Try it for a week without watching cable news. Now, if you’re a news consumer and if you are quasi-addicted, then you’re gonna have to find other ways of informing yourself, and you can do that. You can inform yourself of the same things you’ll see on cable TV. What you will miss is all the incendiary opining on both sides. You’ll miss the anger. You’ll miss the constant lack of resolution to anything. And most of all you’ll miss the frustration. How many of you watch these shows at night and you have a vested interest in whatever it is that’s being discussed, but whoever is on representing your side just doesn’t quite get there and you sit there and say, “You need to be saying this! You need to be saying this!” And then you say, “I need to be on that show.” Or you say, “Why didn’t you make this point?” and you end up frustrated. Oh, yes. And some people say, “Why isn’t Rush on this show? If Rush were on this show, it would end everything.” But I’m not on those shows. But my point is, you will not experience the never-ending frustration that accompanies whatever you think you’re doing in informing yourself by watching these shows. Now, I must stress, this is not an attack on cable news. I’m not in any way, shape — I’ve been very clear over what I think the news has become anyway. I’m talking about the impact, positive impact on me not watching this stuff. Plenty of other things to do. And I have not sacrificed an ounce of knowledge in casting it aside, and that I think is so telling. I think that is one of the most compelling points to make, that I have not missed anything in terms of learning or being informed by not watching cable news. That’s not the way it’s supposed to be. The news is supposed to be telling you what you don’t know. But it hasn’t been that in I don’t know how long. So go for it. RUSH: We’re gonna start in Pie Town, New Mexico. This is Jay. And it’s great to have you. Welcome, sir. CALLER: Hey, Rush, honor to talk to you once again, my friend. CALLER: Can you hear my all right? RUSH: Yeah, hear you fine. RUSH: Why did you think I couldn’t hear you when I was answering you. 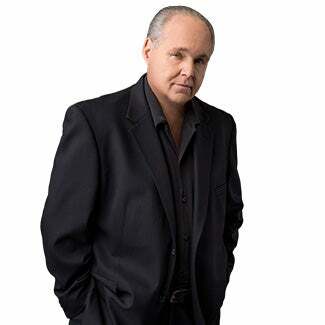 RUSH: Oh, I got, you were just doing preemptive damage control. Your phone line’s fine here. RUSH: What kind of phone are you using out there, Jay? CALLER: I’m using an iPhone. RUSH: Well, that must be why, ’cause it’s crystal clear. I probably won’t even need the transcription of your call, but I’m gonna use it anyway, but, no, it sounds ideal, it sounds perfect. How do you hear me? Do I sound okay? RUSH: Well, thank you. Thank you very much. I sincerely appreciate that. CALLER: Hey, when you opened up this morning, I mean, it hit me like a ton of bricks, because I quit watching, I disconnected anything cable seven years ago. And once in a while I find myself running into a hotel room or somewhere and I need to turn on Fox News. I tell you what, there’s nothing edifying that comes through many of these channels. Fox News has fallen I think, you know, below my expectations for some time now. But the reality is, like I was telling Mr. Snerdley, it takes a special kind of strength, you know, people like you, people like many of my friends, you know, who flip here and watch CNN, MSNBC, you know, to get the other side, so to speak, I don’t have that kind of strength, Rush. I don’t have that kind of ability to be able to remain objective because those people’s objective is to do nothing but discourage and dishearten people like me. RUSH: Yeah. But, see, I understand that, and I think if that’s the circumstance, it’s wise that you not even mess with it. As long as you have this show each day, you don’t need it. And I’m not trying to sound funny or in a phony, egotistical way. Really, I’m serious. If you’ve got this show every day, you don’t need that, folks. Whatever is important that it’s happening, we talk about it here, and not in a way that’s going to enrage you, at least we’re not gonna lie about it. For example, I just watched some of the coverage on CNN. I didn’t listen to it because the program was on. I watched some of the coverage on CNN. We’ve got an audio of it that I might play. One of the panelists on CNN, after the Hillary commencement speech, literally started crying, “I can’t believe, I can’t believe the election actually happened and she lost.” I don’t need to see that. I don’t need to see a bunch of whimpering leftists who themselves are incapable of grounding themselves in reality, whining and moaning. And here’s another thing. This is a story that just cleared from TheHill.com. It’s a poll. “Majority Says Mainstream Media Publishes Fake News. Nearly two-thirds of Americans say the mainstream press is full of fake news, a sentiment that is held by a majority of voters across the ideological spectrum. According to data from the latest Harvard-Harris poll –” this Harvard-Harris poll has been loaded with stuff. We’ve been quoting from it here for a few days. This is a story about how there is yet to be, in nine or 10 months of reporting, there is not a morsel of evidence backing up any of the claims or any of the narratives or any of the premises that make up today’s news. There is not a morsel of evidence on anybody. There’s not a morsel of evidence on Flynn! On Manafort! On Carter Page! There’s no evidence on Trump! And yet the reporting goes on. Convicted of high crimes already without a trial. It’s a great piece by Eli Lake. My question is, if you think this stuff is fake news, why watch it? There’s no value in it. Unless you’re entertained by it and you have boundaries and the stuff’s not gonna affect your mood, fine and dandy. But if it’s gonna frustrate you, make you mad, you’re not missing anything turning it off. RUSH: This is not a crusade. I’m not encouraging massive boycotts of turning off the news. That’s what the left does. I’m just telling you my own personal experience. I’m just in a much better mood. I’m in a good mood anyway, but I’m in a much better mood day in and out. I look at things entirely differently not watching that crap. It’s all I’m telling you.